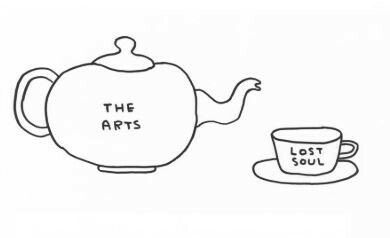 “Governments come and go but, when it concerns culture, there is one thing that all political parties agree on: that the arts are good for us”, writes Ivan Hewett in an article in The Telegraph . Even Theresa May and EU Chief Negotiator Michel Barnier should agree on this. The arts and culture have a broad appeal that render them powerful means to tackle social issues, or to support vulnerable individuals. Arts therapies, for example, have grown over recent years into a credible method to improve mental health. Music and Memory, relying on a collaboration with Grammy winning musicians, uses music to provide alternative healing treatments that allow those with dementia, Alzheimer’s and other cognitive and physical challenges to reconnect with the world through music. The University of Edinburgh and Limelight Music also explored how music could help disadvantaged groups, focusing on people with physical or cognitive impairments. The project, Music as Social Innovation, seeks to capture any social benefits that musical participation might engender. Life for elderly people in the UK seems more dynamic since EASOP - Arts Enterprise with a Social Purpose – was founded. The programme they launched, Dance to Health, aims at preventing falls among older people whilst giving them the opportunity to have fun. Motion, part of last October’s National Theatre of Scotland’s Futureproof festival, is a theatre company unlike any other. All members of the cast are offenders serving a sentence, and the audience was guided through locked doors by prison officers to the performance space. Theatre behind bars can transform lives, not only for the time of the sentence, but also as part of people’s rehabilitation when they leave. One Festival of Homeless Arts brings together works of art that have been created by artists who have experienced homelessness. Elsewhere, arts and cultural interventions have been often used to support peace-building, helping communities to deal with the sources of trauma and bring about reconciliation: from participatory theatre initiatives in DRC, to drama in Yemen, or Peace Songs in Nepal. “Publicly funded art is still dominated by a privileged elite who fail to engage the majority of the population. The majority of artistic directors, producers and chief executives in British theatre are still white, privately educated men. (…) Just like the conversation around ethnic diversity, we are often talked about rather than talked to.” This is the provocative picture of the arts, especially the publicly funded one, painted by Javaad Alipoor on The Guardian in June, advocating for the need to “fundamentally change the makeup of who is creating and watching work”. If some initiatives target specifically communities from disadvantaged backgrounds, or groups in need, should we not consider the unequal access to artistic and cultural institutions as one of the main limits of the arts in tackling inequalities and social challenges? Women artists, and artists from black, Asian and ethnic minority backgrounds, are still significantly underrepresented in the main artistic and cultural institutions. Of the 663 arts organisations in the national portfolio of Arts Council England (ACE), only 8% of chief executives, 10% of artistic directors and 10% of chairs come from black and ethnic minority backgrounds. The ACE also claims that the sector faces a “major challenge” around disabled representation ; and there is no disability data for nearly half the NPO workforce, making it “extremely difficult” to draw accurate conclusions in this area. Around 80% of white adults engaged with the arts in 2014, compared with 68% from black and minority ethnic groups, according to a survey, Taking Part. Engaging with the arts can be very diverse however, and these figures do not convey the low participation of BAME population in some of the most elite forms of arts. “Theatre companies must diversify or risk losing funding” announced the ACE, that takes this issue very seriously. The ACE has launched the “Creative Case for Diversity”: funded organisations are expected to show how they contribute to diversity through the work they produce, present and collect. “Arts should do more to embrace diversity. It is crucial to the way in which society and the arts connect.” Sir Nicholas Serota, Chair of Arts Council England, former Director of Tate galleries. Among other examples of how subsidised cultural institutions are active in this field: The Royal Opera House, Opera North and London’s Lyric Hammersmith launched in 2017 a workshop week for black, Asian and minority ethnic artists interested in opera. In non-subsidised cultural institutions, progress is being achieved as well in terms of diversity and inclusion. 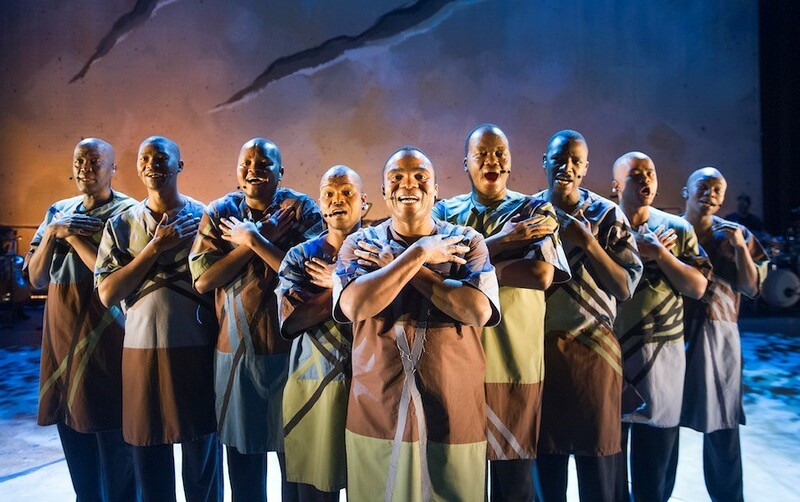 Investing for Good has worked with Sisters Grimm, creators of the Grammy nominated show INALA, who are developing a new show to celebrate the Zulu culture. This company is launching a “schools outreach programme”, aimed at offering children from disadvantaged backgrounds the opportunity to see an inspiring show in a theatre, and to learn more about careers in the arts. The Arts and culture sector accounted for less than 0.5% of the impact investing market in 2015, according to a survey co-published in 2015 by the Global Impact Investing Network (GIIN) and J.P Morgan. We believe that the sector, and particularly artistic initiatives tackling pressing social issues, will attract more attention from impact investors. Investing for Good is committed to fill the gap in the impact investing sector for investible opportunities. We are working alongside Arts Council England, the Mayor of London and Outset Contemporary Art Fund to design the Creative Land Trust, which will provide secure and affordable studio space to creatives in need. See “The Value of Culture in Peacebuilding -- Examples from Democratic Republic of Congo, Yemen and Nepal”, Master thesis, Dorota Piotrowska, CUNY City College, 2016. Older PostGender Lens Investing: A smart lens, but where is the focus?